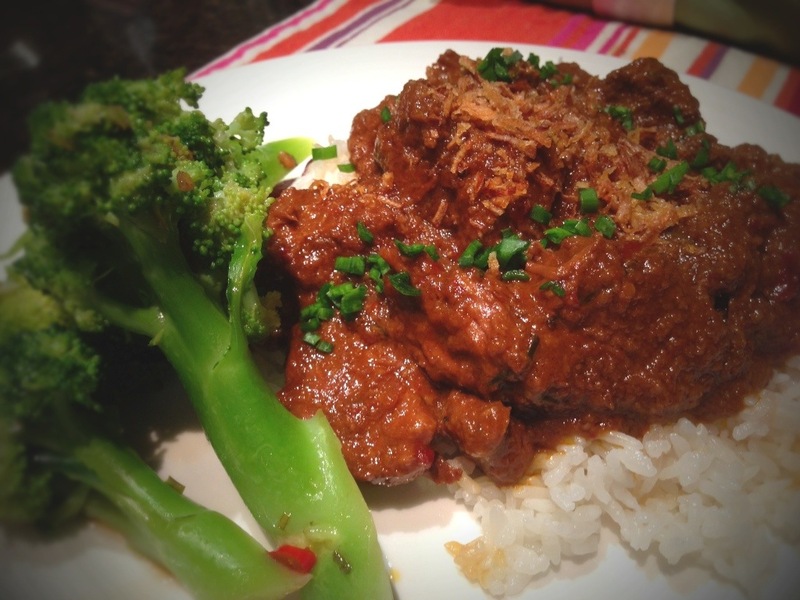 Winter time is always good for a rich hearty Malaysian style curry, and no better than a Rendang. Traditionally with beef, but this time we used a lamb shoulder. The shoulder meat is rich and tasty and needs some slow cooking to breakdown the connective tissue and render the fat resulting in a succulently soft and juicy piece of meat. To make the Rendang paste blend all the following ingredients together into a paste. You may need to add a little of the chilli soaking water to loosen the mixture while you blend to ensure all the ingredients are incorporated and blended properly. Dry toast some dessicated coconut in a fry pan until the coconut is golden brown. Blitz in the blender and set aside. Now in a hot pan, add plenty of vegetable oil and when hot, tip in the Rendang paste. Fry until fragrant and be careful it doesn’t stick or burn. Malaysian meat curry powder goes in next followed by the cubed lamb shoulder, stir and continue to fry until the meat is coated and browned. Next add the toasted coconut and half a can of coconut milk. Thinly slice some kaffir lime leaves and turmeric leaves and add to the pot. Finally add some stock and a good slug of dark sweet soy and simmer for an hour and a half. Towards the end remove the lid so the liquid starts to evaporate and thickens the Rendang. The end result should be a dryish curry that clings to the meat, rather than a sloppy sauce as per traditional curries. Serve with white rice, some fried shallots on top and condiments to match. My choice of condiments for this is the Thai sauce Nam Prik Pla. 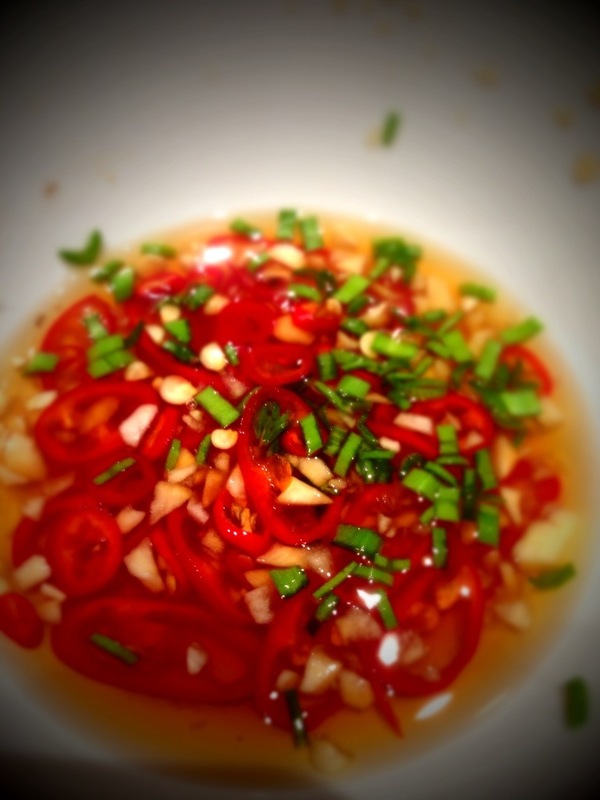 Chop some garlic, chillies and garlic chives and add to a bowl. Add a few tablespoons of fish sauce and some brown sugar to take off the edge. Tags: Asian, beef. Bookmark the permalink.